Take those used spaghetti, pickle, and jelly jars, remove the label and clean well. 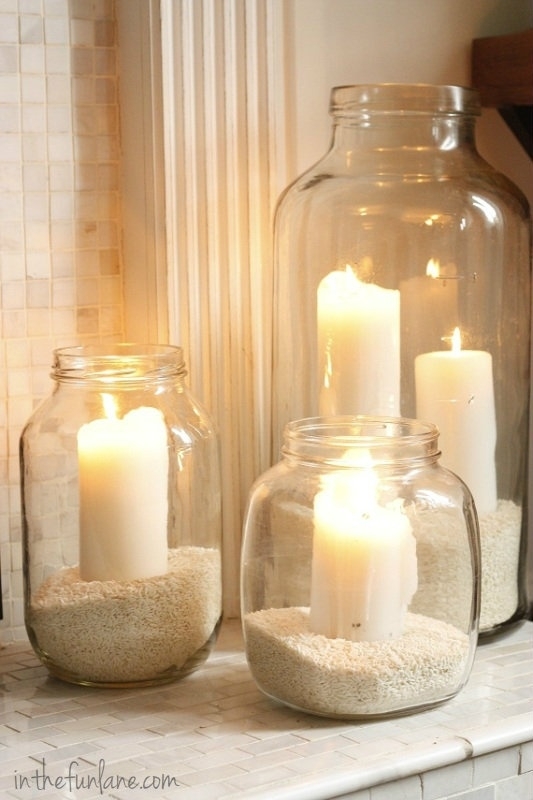 Fill with about an inch or two of sand/beach rock/baby shells and place in a pillar candle. Viola! 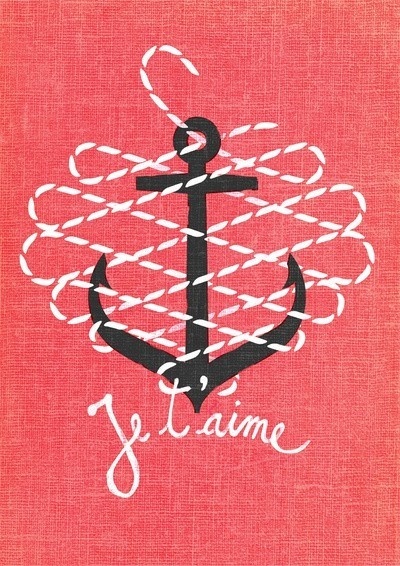 Insta-nautical! I think flowers in your home are a MUST! 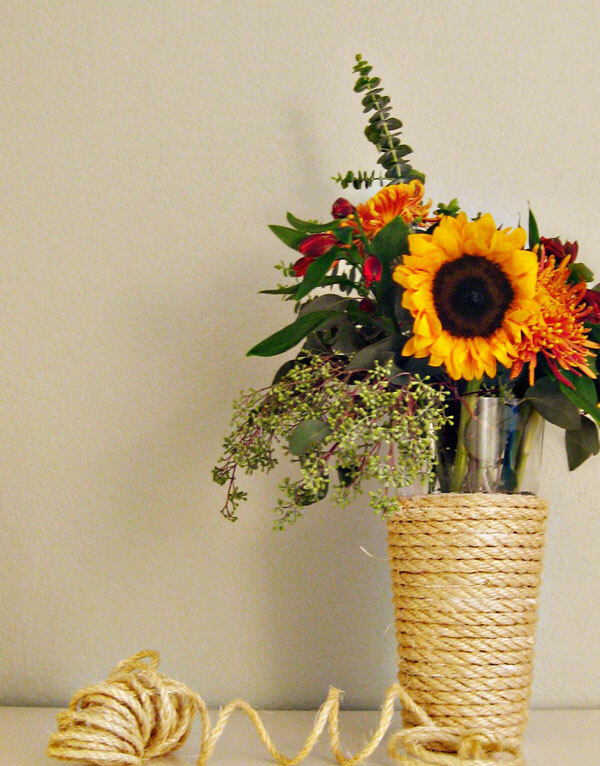 Use ceramic tile adhesive to keep the sisal rope in place and you’ve got a transformed vase! 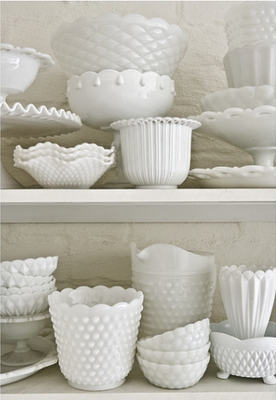 The possibilities for these vase options are endless! My Suggestions? Keeping with the tomato red/coral, black, and white theme, nautical prints like this one add subtle decoration to the wall. I take off my engagement ring every night because I’m afraid I’ll poke hubby’s eye out in the night (i don’t think he thought of that when he picked it out! ), but I hate leaving things on the counter – it looks too cluttered for me! Having a few of these milk glass bowls (bottom shelf, right of center) not only gives me a place for my ring and watch, but odds and ends like hair ties and bobby pins too! With all of these ideas and more being pinned daily, I’m sure to get the exact look (for cheap!) by the time I get to decorate our guest bathroom this summer!